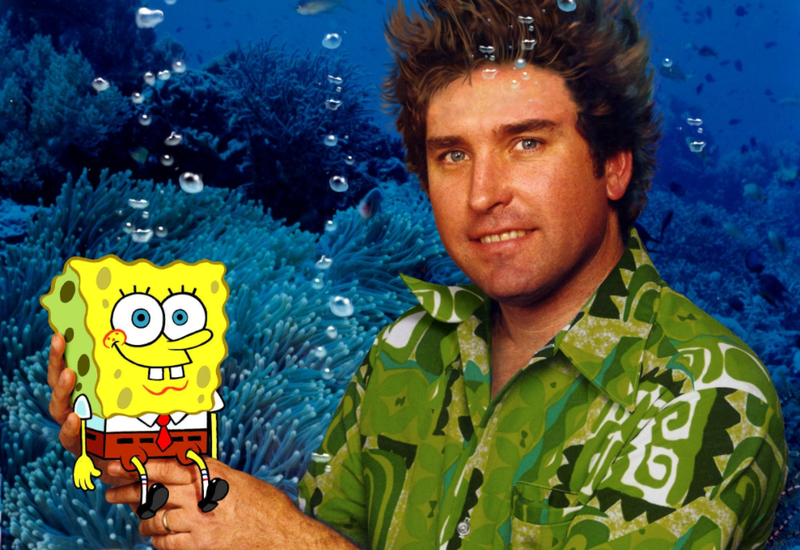 Stephen “Steve” Hillenburg, the creator and animator of the hit TV show ‘Spongebob’, died at the age of 57 due to ALS, a progressive neurodegenerative disease. His life Pre-Spongebob was nothing unexpected. Born at his father’s army-post in Lawton, Oklahoma, he moved to Anaheim, California as an infant. Art had always been his strong suit, one of the first pieces he made was of soldiers, rather than fighting, they were kissing and hugging. He always had an interest in marine biology as a child and eventually became a marine-science major at Humboldt State University. For a few summers after high school, he worked as a fry cook at a fast-food chain in Maine. His experience as a fry cook later inspired SpongeBob’s occupation. After graduating from college, he worked as a marine biology educator for 3 years at the Ocean Institute. During this time, an educational director asked him if he would be interested in creating a comic book about animal life in tidal pools. In it were the first drafts of characters we now know and love, including “Bob the Sponge” — which was an accurate depiction of a sea sponge, as opposed to the kitchen sponge now known as SpongeBob SquarePants. While in high school, his teachers noticed his two loves: marine biology and art, they encouraged him to “just draw fish instead”. He found this to be boring and liked putting fun and weird twists on it, in 1992 this became the premise of his pitch for a children’s television show. His first professional job in the animation industry was working as a director on Nickelodeon’s ‘Rocko’s Modern Life’. Along with directing, he would occasionally write and edit episodes, before eventually being promoted to creative director. Through his time on ‘Rocko’s Modern Life’, he revealed he “learned a great deal about writing and producing animation for TV”, this experience helped catapult his career. The first episode of the beloved SpongeBob SquarePants aired on May 1, 1999, and is still running to this day; they have produced more than 250 episodes. The cultural impact of SpongeBob SquarePants surpasses borders, making it one of the most recognizable cartoon characters. A unique aspect about the show was the subtle segue to big issues like pollution and climate change in a fun, whimsical way. Although SpongeBob’s target audience is children, it appeals to college students alike, some go as far as organizing viewing parties for the show. Hillenburg earned well-deserved awards for his work on the show, including four Emmy’s. He will always be loved by his wife, Karen, and their son Clay. His show taught viewers the importance of being yourself, and more importantly that we’re all Goofy Goobers at heart.